Hey there! I have another Christmas card to share with you today - the final installment of the cards we made at this month's stamp-a-stack. This card was designed by my downline, Stacey Campbell. 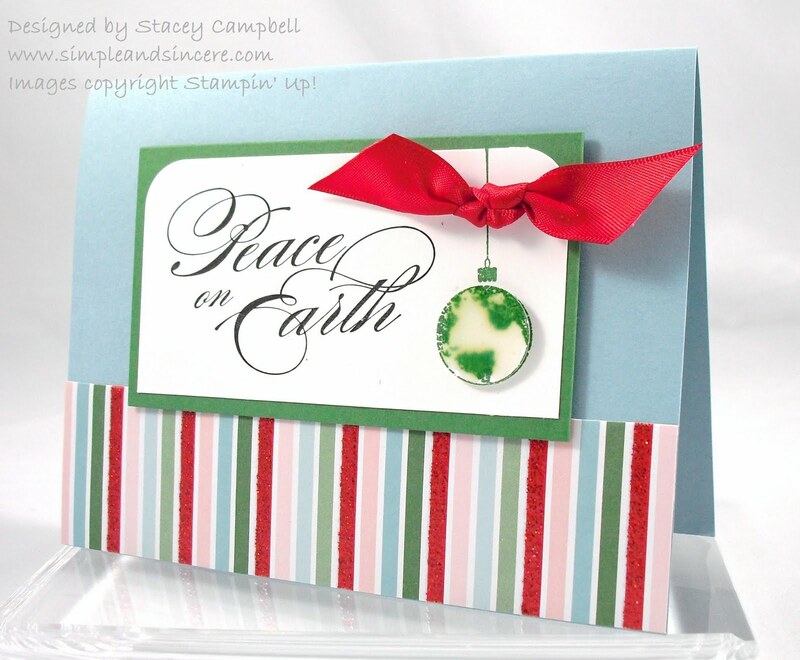 She used the hostess set Peaceful Season (Level 2, from the Holiday Mini) to create this card. 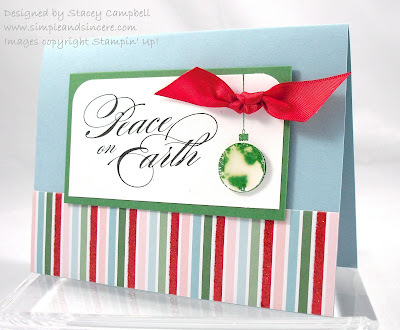 I love how she used the Candy Cane Christmas Specialty dsp on this card - that glitter really sparkles! I also like the way she popped up the globe on the ornament and added a bit Crystal Effects to make it really stand out. Have you started thinking about Christmas cards yet? It's hard for me to even begin thinking about the holidays when the weather here has felt like summer! But, if I'm going to send hand-made my cards, this year, I better get started. Have a fantastic day!